The police in Niger State have arrested a 32-year-old man for allegedly beating his wife to death with a piece of wood. The suspect, Jibrin Abu, was apprehended by police operatives attached to the Lapai Division in the Lapai Local Government Area of the state. Abu, who hails from Dabogi village in Lapai, was said to have killed his wife, Victoria Aliyu, over allegation of infidelity. It was learnt that the suspect used a heavy wood to send his wife to her early grave after several warnings. Northern City News gathered that the suspect had earlier warned his late wife to stop taking calls from her male friends, but she reportedly ignored his warning. Abu, who narrated to Punch correspondent what led to the killing of Victoria, said on Tuesday, “I used a wood to kill her after several warnings for her to desist from taking calls from men in my house. The suspect also described his late wife as “a disgrace to womanhood,” noting that she had dragged his name in the mud. “My late wife brought men into our matrimonial home and my culture abhors such an act; that was why I killed her to save the family from the shame,” he added. The Niger State Police Command’s Public Relations Officer, Muhammad Abubakar, confirmed the incident, noting that the suspect had confessed to the crime. 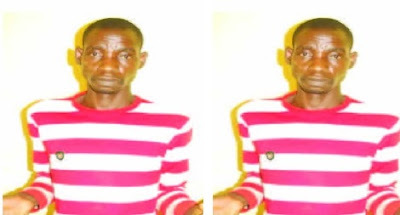 Abubakar said Abu, after killing his wife, attempted to commit suicide by drinking Sniper insecticide, but he was rushed to the Lapai General Hospital by police operatives and was treated. He added that the suspect would be charged to court soon.